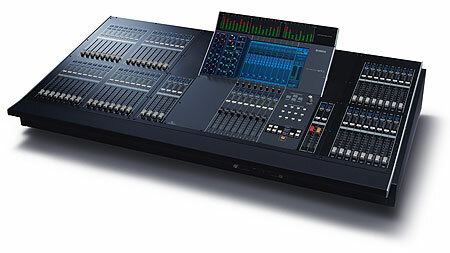 This is one digital mixing console that lets you concentrate on sound without being overwhelmed by the technology. Straightforward hands-on operation with no layers. Large touch-panel display offers intuitive control. CentralogicT interface allows access to all channels from a front-and-center fader group. Two models with onboard analog input: choose the M7CL-48 for a total of 56 inputs (48 microphone and 4 stereo line), or the M7CL-32 for a total of 40 inputs (32 microphone and 4 stereo line). Newly-added M7CL-48ES model with built-in EtherSound for easy digital networking and setup using EtherSound stage boxes. 16 mix bus and 8 matrix configuration, with an INPUT TO MATRIX function that provides 24 mix bus output capability. Powerful channel processing including dynamics, 4-band parametric EQ, and more. A versatile range of multi-effects built-in, including the REV-X Add-on Effect package. Memorizes up to 300 scenes, with programmable fade time. Three Mini-YGDAI card slots for expandability. M7CL Editor software provides advanced viewer/controller capability via a personal computer. Multi-level security features include password and USB memory key protection. USB memory data management capability.